What is a Minnesota Quit Claim Deed? 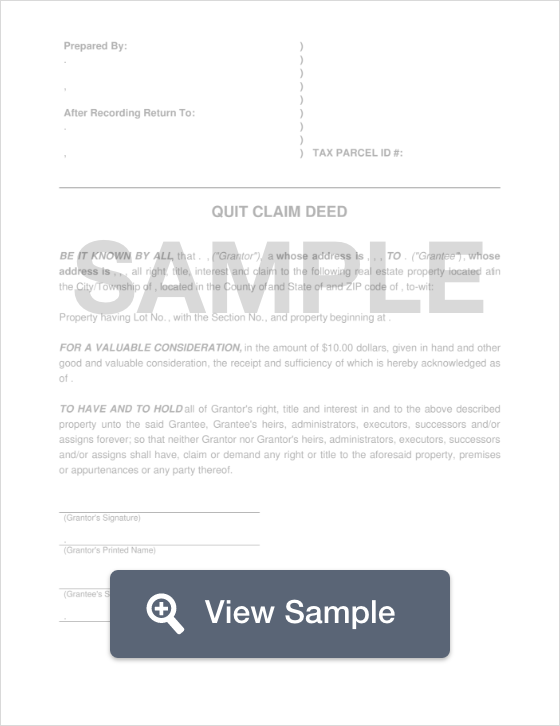 Minnesota Quit Claim Deed: What Is It? A Minnesota Quit Claim Deed is a legal document that is used to convey property from one person to the next within the state. This type of transfer comes with no guarantee as to whether or not the title is clear, and doesn’t reveal whether or not the seller has the legal right or authority to sell the property. It also comes with no guarantee that the property title is free of encumbrances. Quit claim deeds are often used for property transfers between family members or in instances of divorce, however, regardless of the situation, the buyer should always conduct a thorough title search to ensure that there are no major encumbrances on the property title. Signing - According to Minnesota Law, the quit claim deed must be signed by the Grantor (the seller of the property) in the presence of a Notary Public (§ 507.24). Recording - All deeds filed in the state must be filed with the County Recorder’s Office (§ 507.0944). Additional Documents - In addition to the quit claim deed document, the state of Minnesota requires that an eCRV and a Well Disclosure Certificate (circumstances provided) also be filed with a quit claim deed. An eCRV must be filed on all properties that are valued at more than $1,000. This document can also be filled out online and filed to the County Recorder’s online system. If the property has a new groundwater well since it has been owned by the seller, a Well Disclosure Certificate must be filed with the quit claim deed.